I am a bonafide Giggle Queen! I would rather laugh my way through a stressful situation, instead of spending all of my energy being angry. You know the saying, “sometimes you have to laugh to keep from crying.” That statement is so true. I’ve had my share of bad days that had me crying, because I seriously had no idea where my life was going. The two things that gave me peace was prayer, and laughter. I find comfort in my own laughter, and the laughter of others. One day I’ll host a one woman show, and we can laugh at the highs and lows of my life. Together. Would you attend? 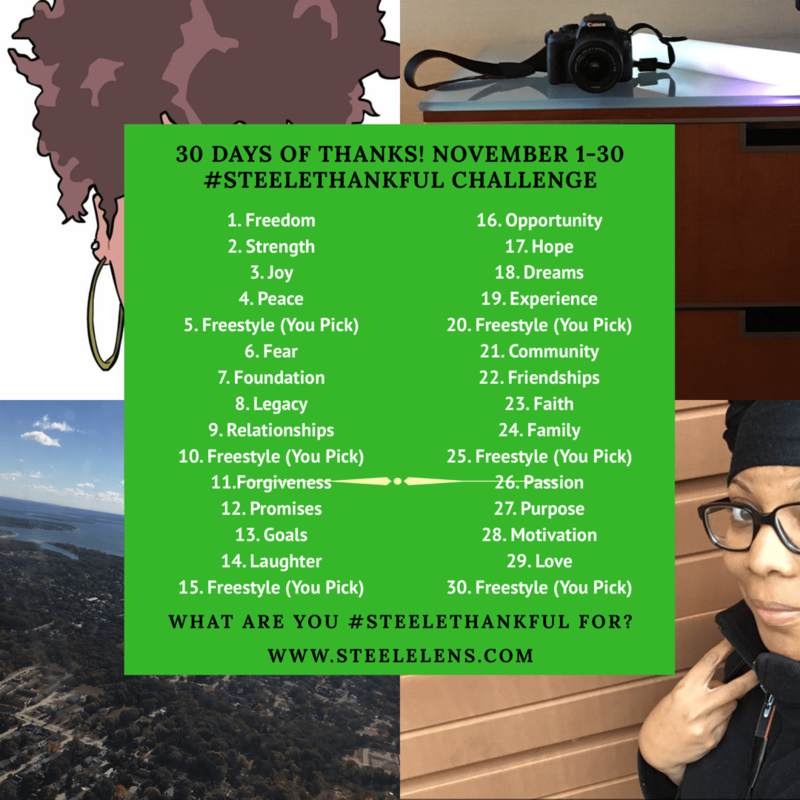 I’m #SteeleThankful for laughter. Laughter is the medicine for any bad day.